Long car rides equate to lengthy discussions about politics, religion, current/historical events, philosophy/psychology, amongst other things. 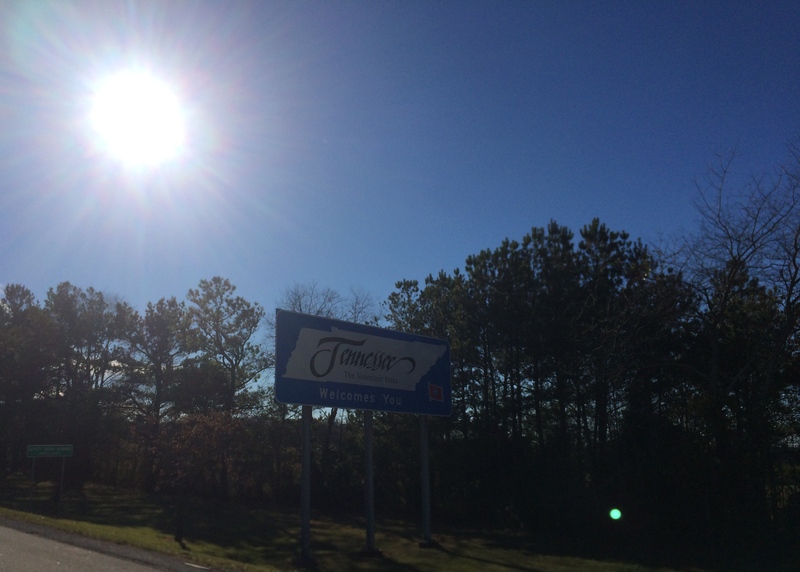 Shielding our eyes from the southern sun, we drove toward Tennessee with conversations drenched in civil rights history, education, social welfare, work opportunity, and poverty. 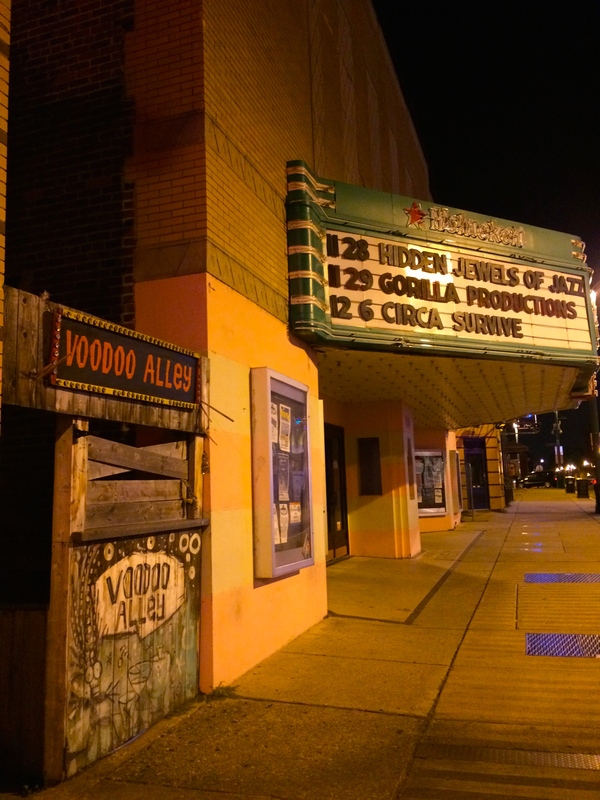 Rich and fruitful in the history of art and music, the South prides itself with its foundation of rock & roll, blues, jazz, and country. However, its brutal history bleeding with racial battles continue to taint the region with laws and a lifestyle that favor the rich and suppress the poor. It is easy to forget that segregation laws were abolished not just recently but in this generation. Fortunately change has been embraced, but due to its incredibly slow process, it will take several more generations for racism to extinguish. Until then, the South will continue to exist as the least educated and poorest region in the nation. Before large societies were established in the region, a historic 440-mile pathway stretching from present-day Natchez, Mississippi to Nashville, Tennessee called the Natchez Trace was used by Native Americans. Europeans and early-American explorers used this trail in the 18th and 19th centuries as it was the only reliable land path between the eastern states and Mississippi and Louisiana trading ports. Some of the earliest Mississippi and Tennessee settlements developed along the trace, but the small towns declined as the steam boat rose to popularity on the Mississippi River. 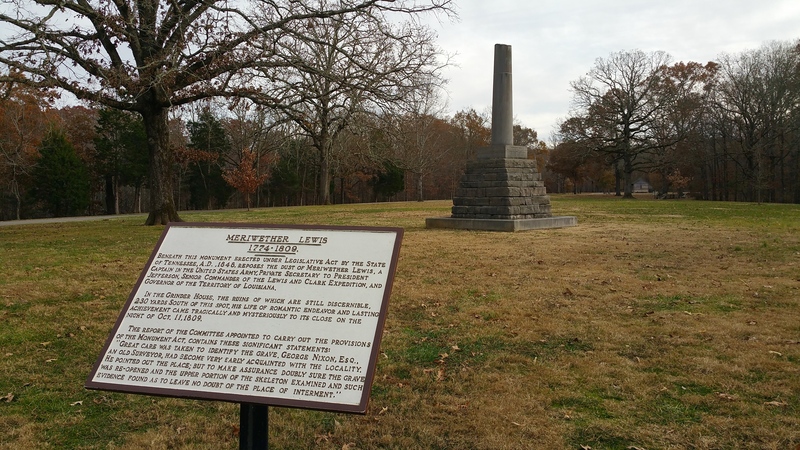 Original sections of the trail still exist and some can be hiked at the Meriwether Lewis National Monument and Grave, about an hour south of Nashville. Meriwether Lewis from the famed Lewis & Clark Expedition died along the Natchez Trace during his journey from St. Louis, Missouri to Washington, D.C., and a monument and free campground have been established. 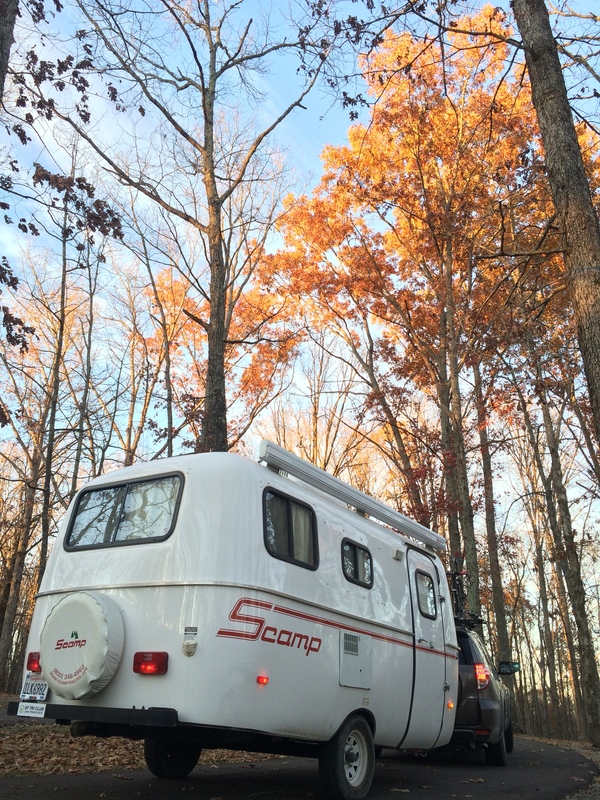 It was a late Monday afternoon in late November when we arrived, which meant an almost-vacant campground. Small trails of the original Natchez Trace were scattered here and there throughout the park. The historic site also included Lewis’s grave and monument. 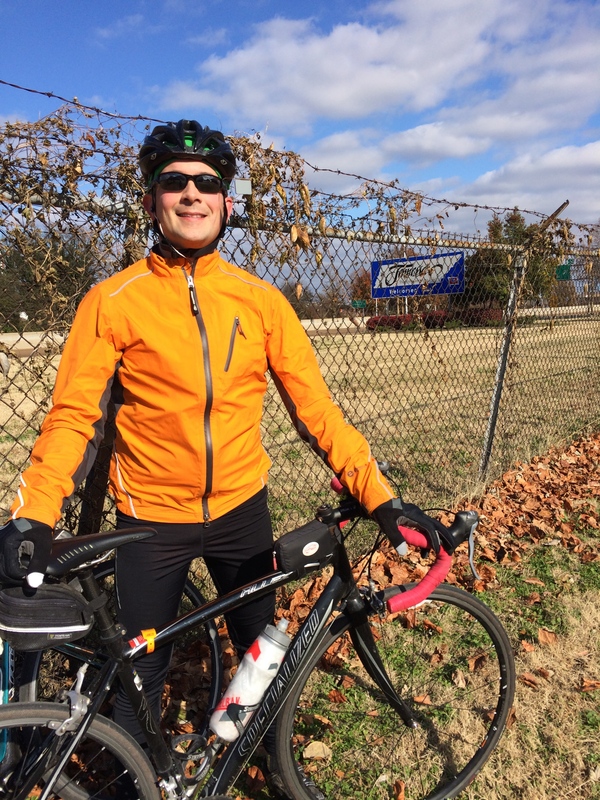 After one night on the historic Natchez Trace, we headed west for Memphis. As someone who does not like the idea of paying the ridiculous $40/night for some dumpy “campground” in a parking lot, one may ask where we ended up parking our trailer in Memphis. Whenever I am faced with this problem, my simple solution is to study a map and look for areas marked in green. These green areas represent national parks, forests, wildernesses, and state parks. In doing this in the Memphis area, I discovered T. O. Fuller State Park, the second state park in the nation open to African Americans, less than 10 miles from downtown. For only $20/night, campers had electric and water hookups, access to bathrooms and free showers, an RV dump, free ice, an incredibly cheap laundry facility, and a swimming pool (during the summer). We decided to spend our Tuesday evening in a Walmart parking lot in South Memphis and pay the camping fees for Wednesday and Thursday when we arrived at the state park the next morning. I don’t know if spending the night in a Walmart parking lot in south Memphis was a courageous act or merely an eye-opener, but our earlier discussions about poverty in the south shone bright and clear there. South Memphis is definitely a rougher neighborhood, and the grim line at the Walmart Money Center (check cashing and money orders) was the longest we’ve ever seen at any Walmart. We were also definitely the minority in the area. Despite the number of random car meet-ups that took place in the parking lot, we actually got a quiet, full evening of rest and headed for T.O. Fuller State Park the next morning. Driving to the state park was an interesting experience in itself; abandoned strip malls, cars with flat tires and/or broken windows, and forlorn homes sat in empty brownish-green lots. After seeing a hand-written sign for a house listed at $25,000, I decided to look up the housing market in the area. To my despair, we discovered that all the houses in the neighborhood ranged from $16k-$25k, all foreclosed or pre-foreclosed. 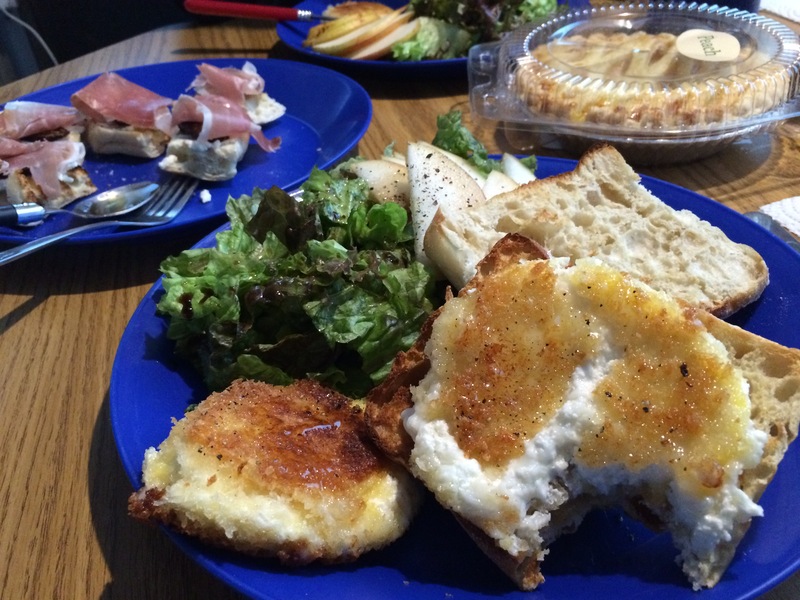 “That’s like…some people’s bonus in the bay area!” I exclaimed. Chris nodded bleakly. We soon made it to the park, and to my relief, we found it safe, clean, and quaint. 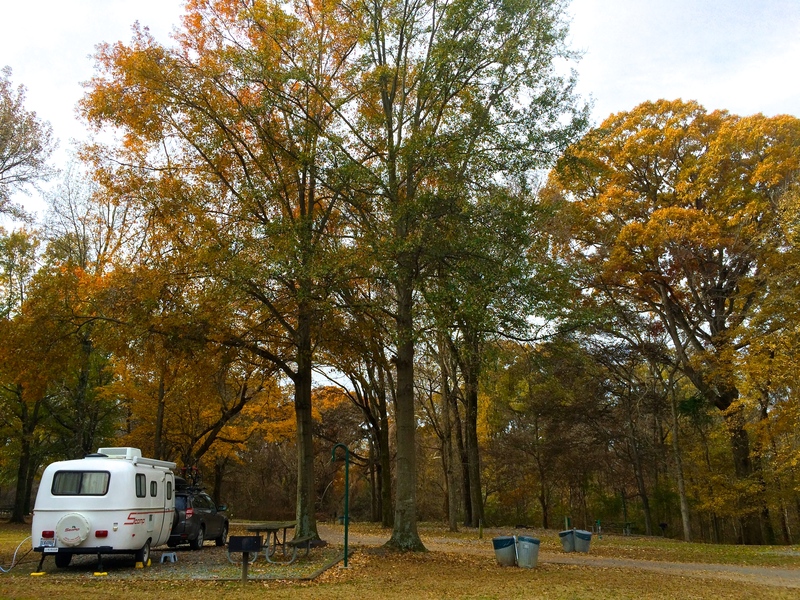 Other RVs parked nearby, and tall, autumn trees filled the campground. 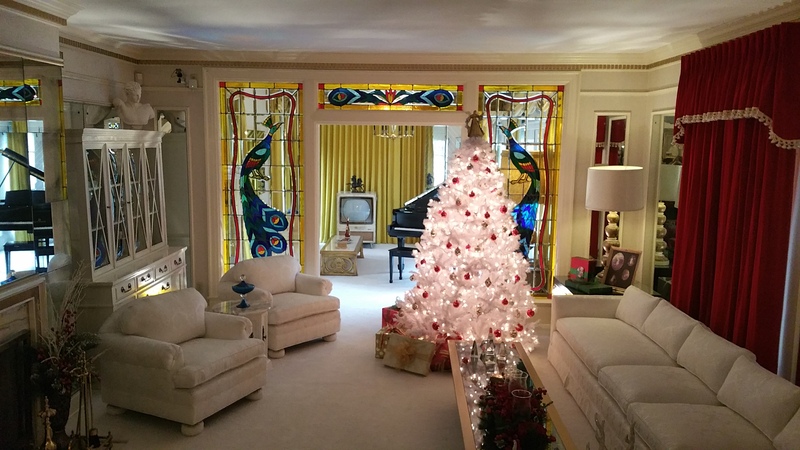 Upon unhitching, our first destination in Memphis was Elvis’s mansion, known as Graceland. Parking was $10, and seeing that we weren’t in San Francisco (there were tons of street parking), we parked down the street. 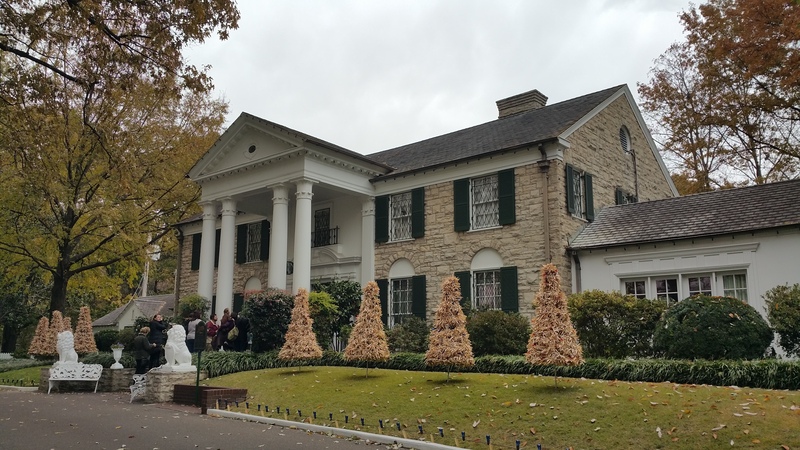 We then proceeded to Graceland for the 1-hour self-guided iPad tour of the mansion, which we thoroughly enjoyed. After the tour we walked back to the car, only to discover that the $10 parking fee was not just for parking, but for insurance of the safety of your car. We knew poverty and crime was a part of Memphis, but my naivety closed out the idea of any possible crime against us. Reality check! “At least we saved $10 in parking,” Chris said sarcastically. 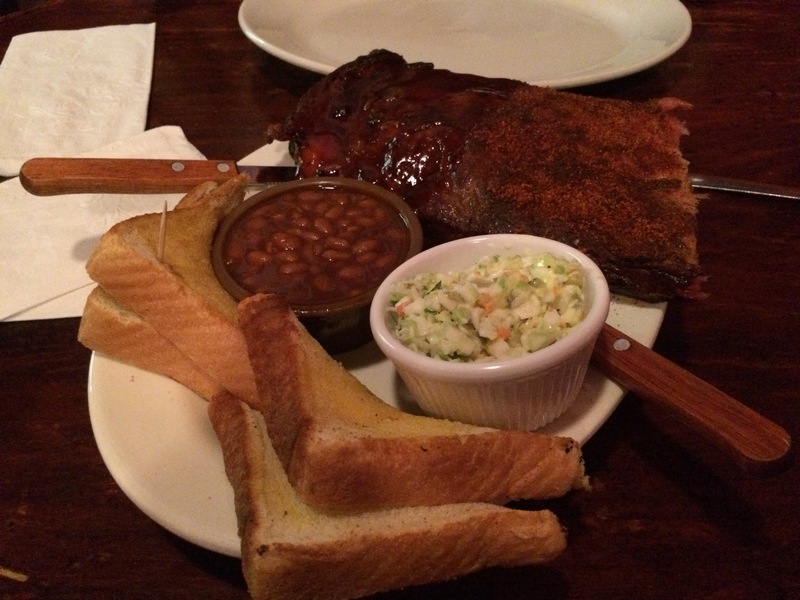 I kept a positive attitude by reminding ourselves we got the authentic southern experience. Luckily I found an awesome auto glass company only a 15-minute drive away that took us in right away–Jack Morris Auto Glass. 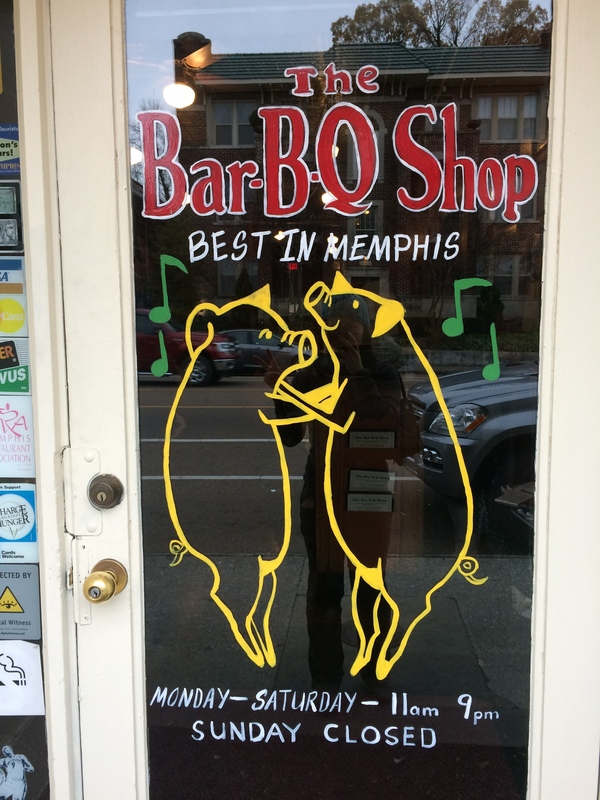 They replaced the window before we could even finish lunch, which was, by the way, some amazing Memphis BBQ. After picking up the car (it began to rain, ha! 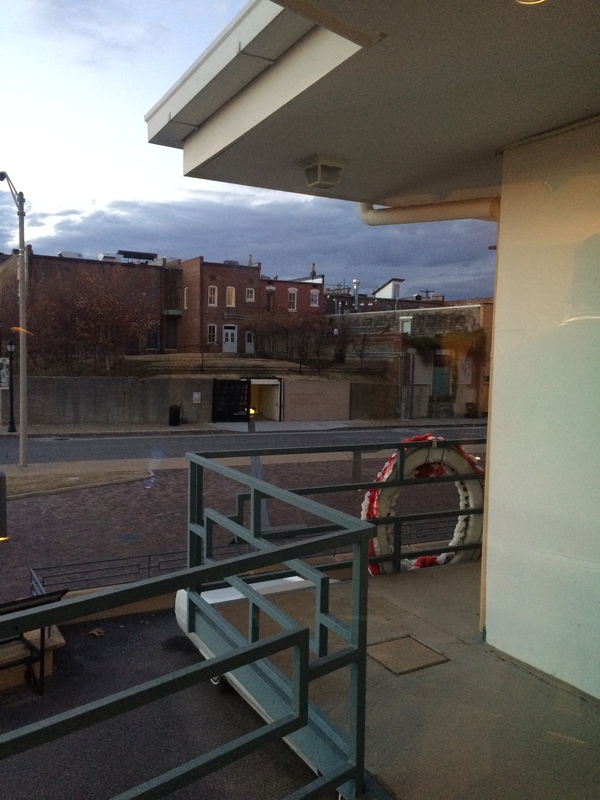 ), we hurried over to the National Civil Rights Museum. 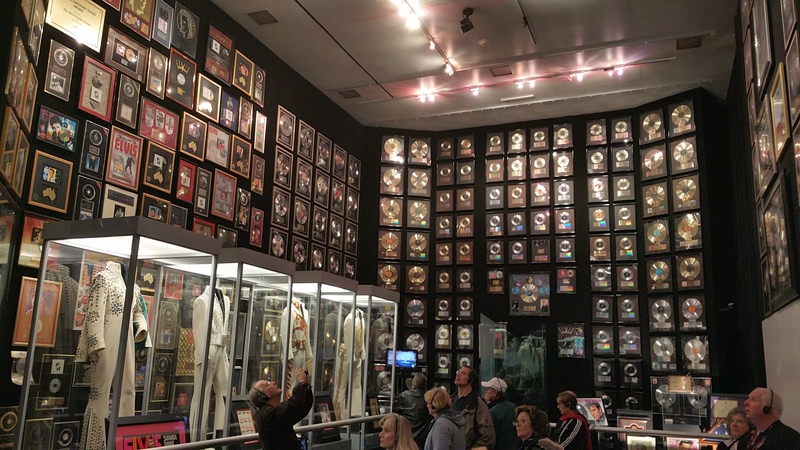 We’re not huge fans of soul and rock music, so we chose this museum over the Sun Studios Recording Museum and the Museum of Rock and Soul, which are both highly rated. I thought 3 hours would have been enough to spend there (closing time is 5:30pm). Nope. 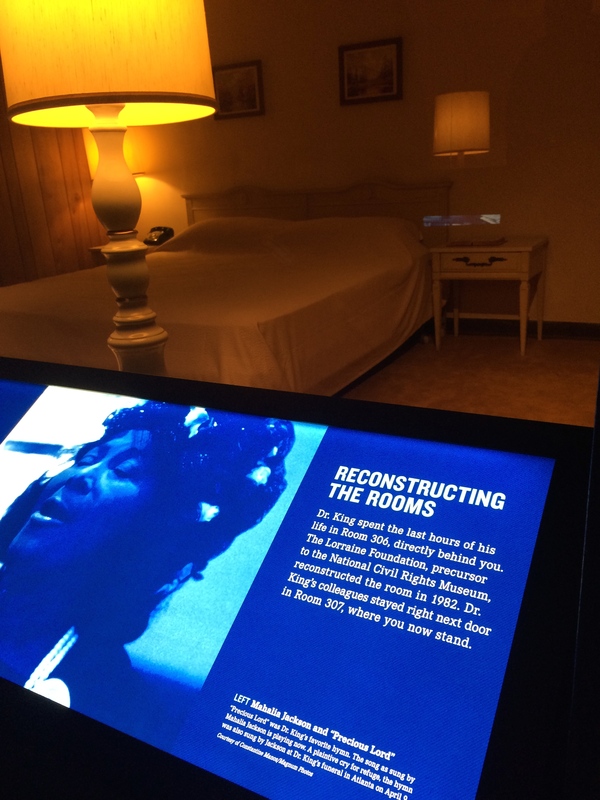 We probably could have spent all day at the National Civil Rights Museum, consuming every exhibit in the brilliantly curated museum. 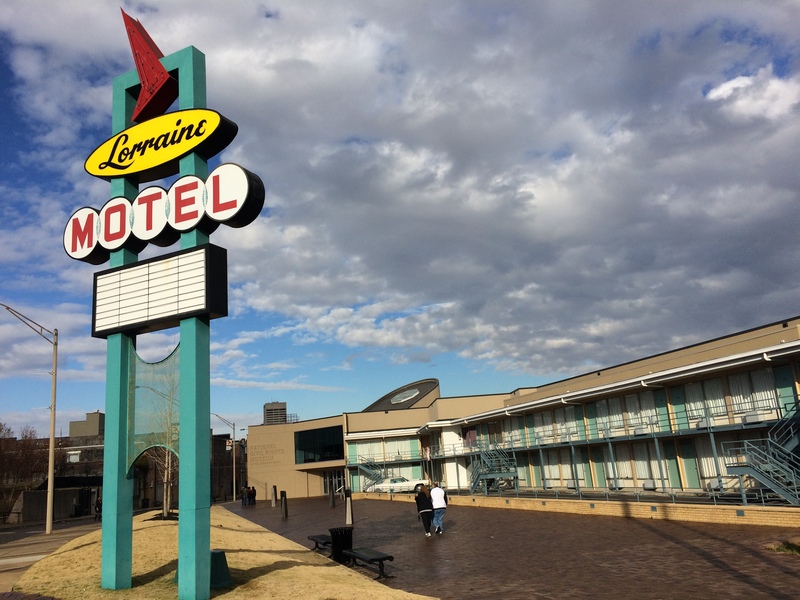 This museum is located at the Lorraine Motel, where Dr. Martin Luther King, Jr. was assassinated. 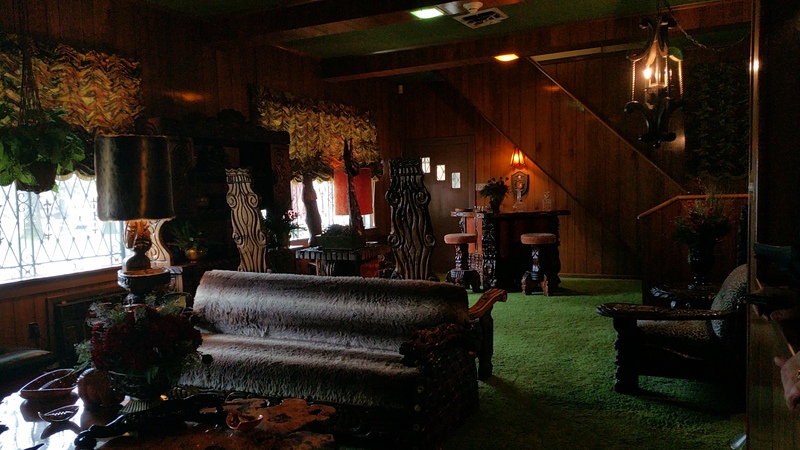 Instead of being demolished for foreclosure, the motel was redesigned for a museum and opened to the public in 1991. The educational and gripping experience at this museum allowed me to reflect upon earlier discussions and the nation’s history. It reiterated my view on the combination of ignorance, the subjectivity of law, and the evil of religion. It was only about 60 years ago (this generation!) American Christians used their faith to strip blacks their rights–the photos of strikers holding their signs that read “GOD DID NOT CREATE NEGROES” and “GOD DID NOT CREATE TWO THINGS: A MULE AND A MULATTO” still sting my eyes. Today many Christians use their faith to strip gays of their rights. Ignorance blocks the realization that the black person or gay person is like everyone else–he was born that way, he didn’t choose to be that way. In future generations when people are done denying rights to blacks and gays by using faith to their defense, I wonder what their new discrimination will be. Night fell as we exited the museum, and the following day was Thanksgiving. 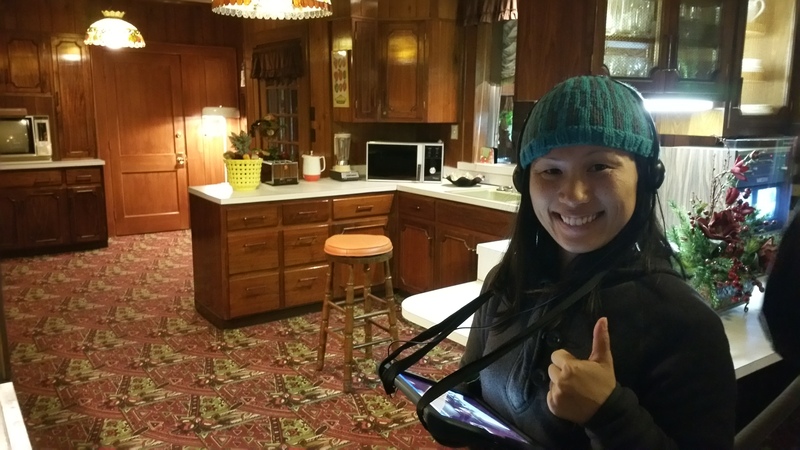 I would traditionally cycle on Thanksgiving day before heading down to my parent’s house in San Jose, but things were different this year. 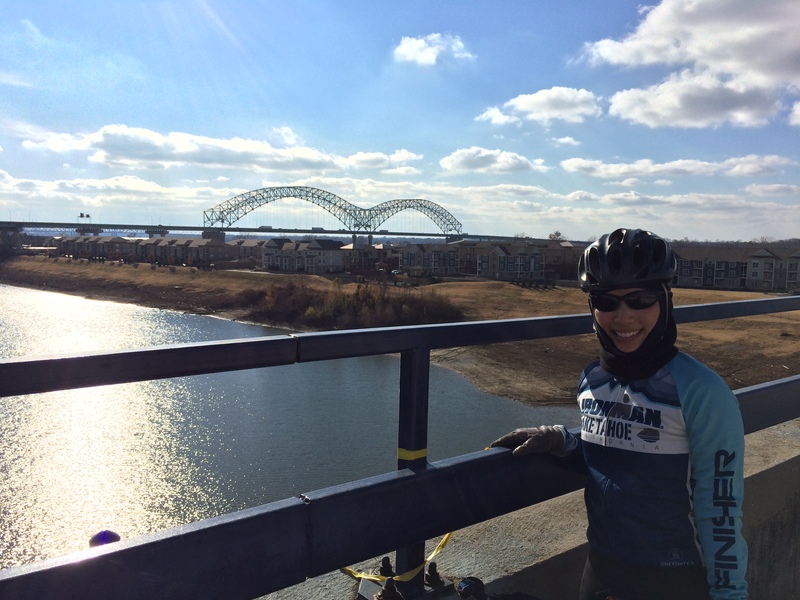 Instead, we cycled along Riverside Drive and Mud Island to spectate Memphis and the mighty Mississippi River! 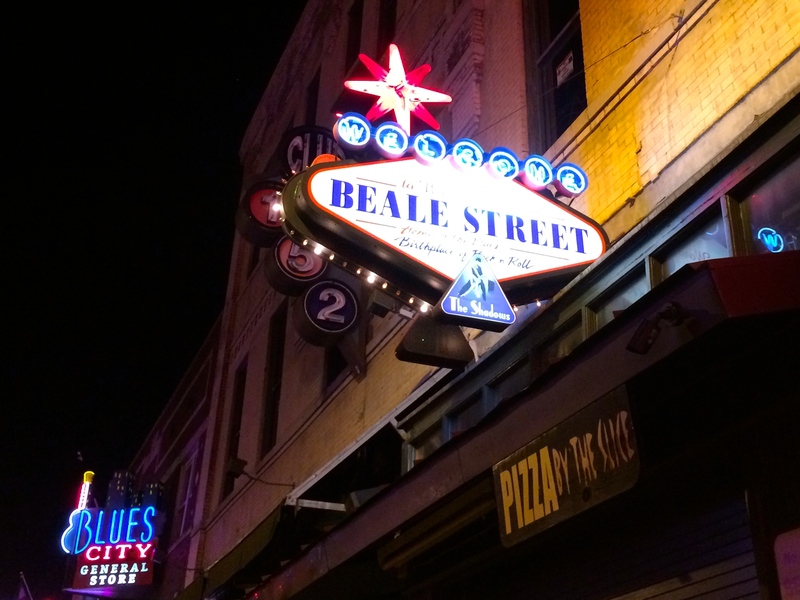 We finished off Thanksgiving and our time in Memphis with Beale Street. 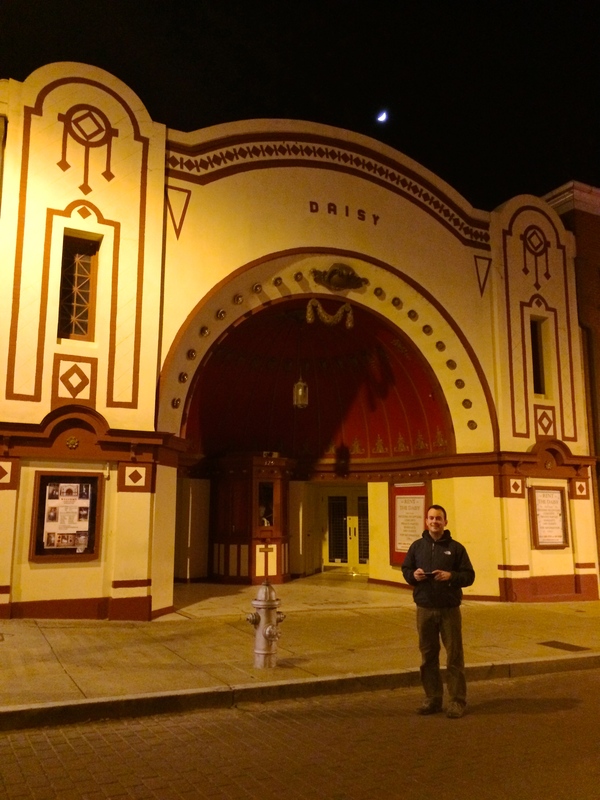 Perhaps some would consider the street depressing and desolate on Thanksgiving night, but we enjoyed it (mostly) to ourselves that evening. With the street blocked off for pedestrians and public drinking permitted, I imagined this street on a hot summer’s night with the savory aroma of street food and BBQ whisking through the street, live music booming from every open window at every hour of the day, action-packed with laughing and mostly intoxicated tourists and locals who all share the same desire to create amazing new memories with friends. The impulse to smoke and drink was heavy in my heart–and I don’t even do either! 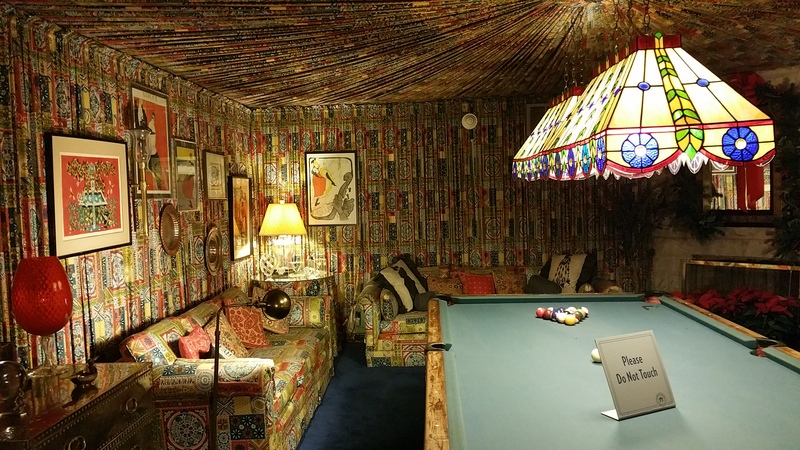 At the very least, I’d like to return with a group of friends, bar hop, possibly get drunk, and jam from one rock and roll bar to another. 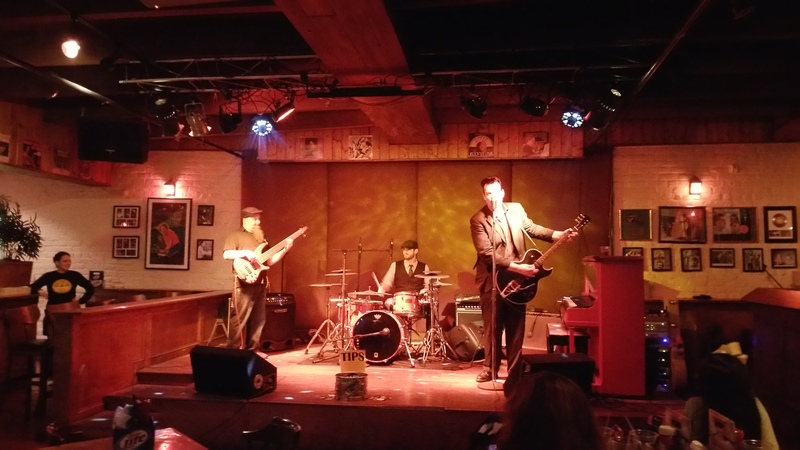 We did happen to stumble across a happenin’ bar, which turned out to be the Jerry Lee Lewis cafe. 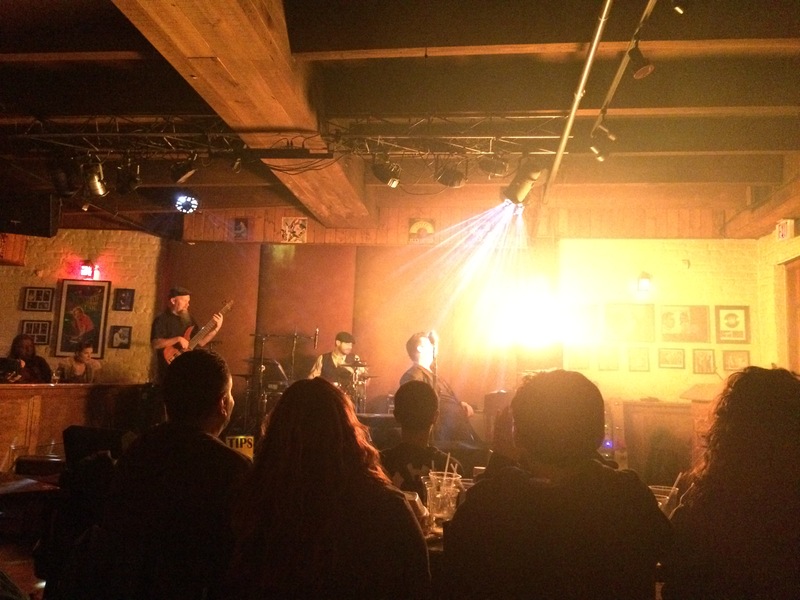 No cover, live music, a bar, and kitchen? Hell yeah! To our delightful surprise, the band killed it! 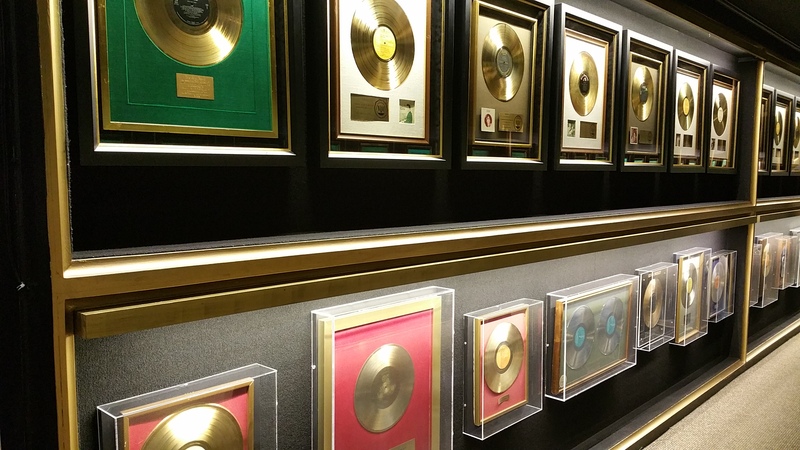 As a EDM lover, I never thought I would tap my feet, nod my head, and clap my hands to the beats of Johnny Cash, Jerry Lee Lewis, and Elvis Presley. Like Jerry Lee Lewis, the singer/pianist/guitarist of the band on stage would ignite the top of the piano for a dramatic performance. A couple hours of entertainment later, we were ready to call it a night. 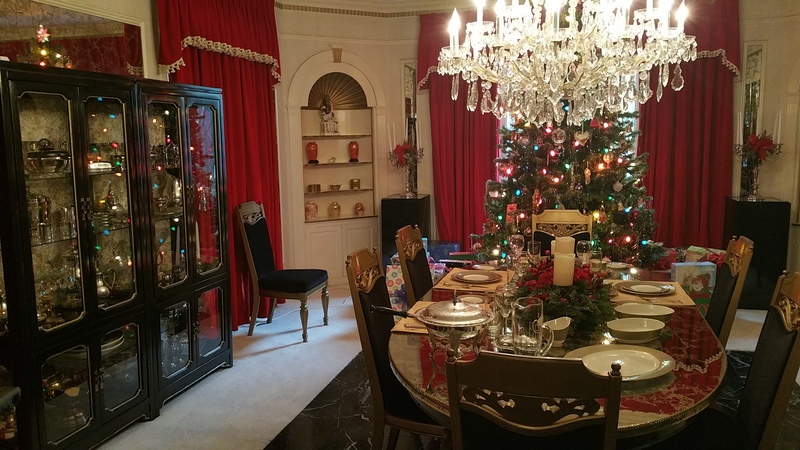 Thanksgiving 2014 was spent in a campground in Memphis, and included cycling along the Mississippi River, a simple yet delicious home-cooked dish, and some live music on Beale Street. 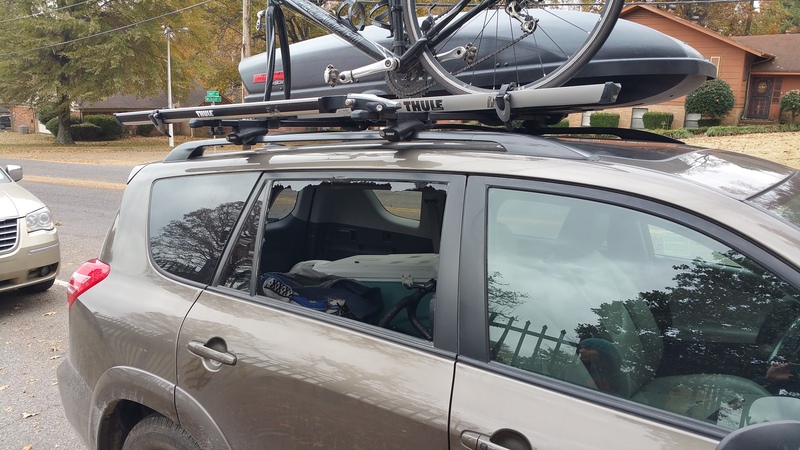 We only knew we would be in Memphis for Thanksgiving the week before, and with the exception of the window smash, we enjoyed our time there. 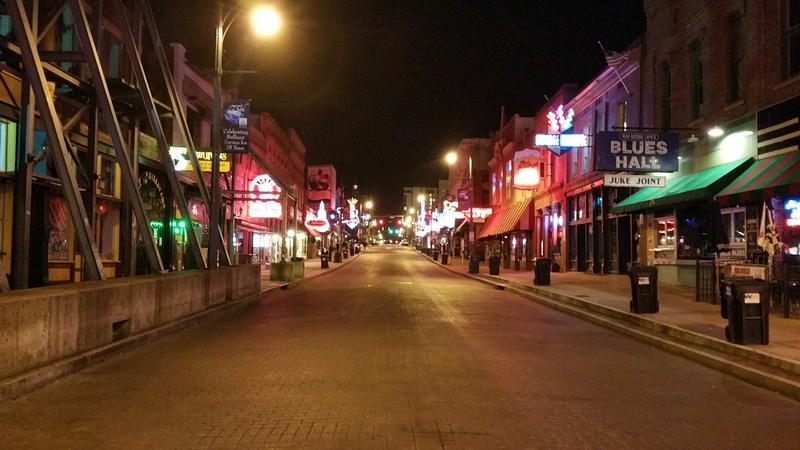 I’d even like to return to Memphis someday with a group of friends to jam with on Beale Street. 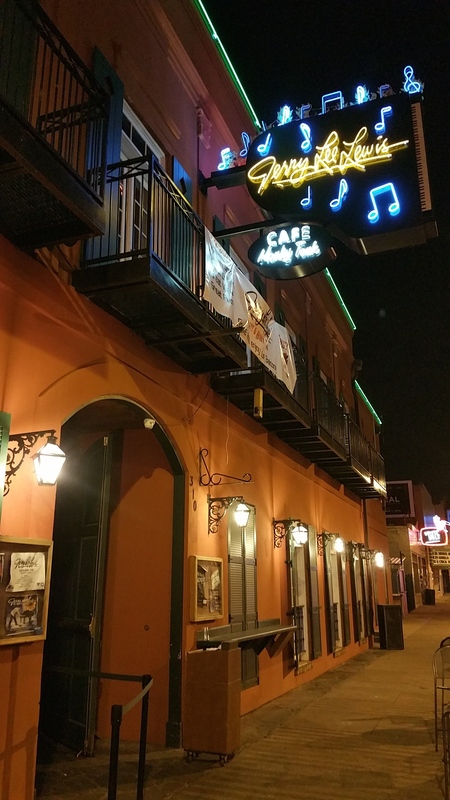 Despite the south being an eye-opener for me, especially having been sheltered my whole life in the bubble of the Bay Area, I loved the differences in culture and I couldn’t wait for what New Orleans had in store for us. 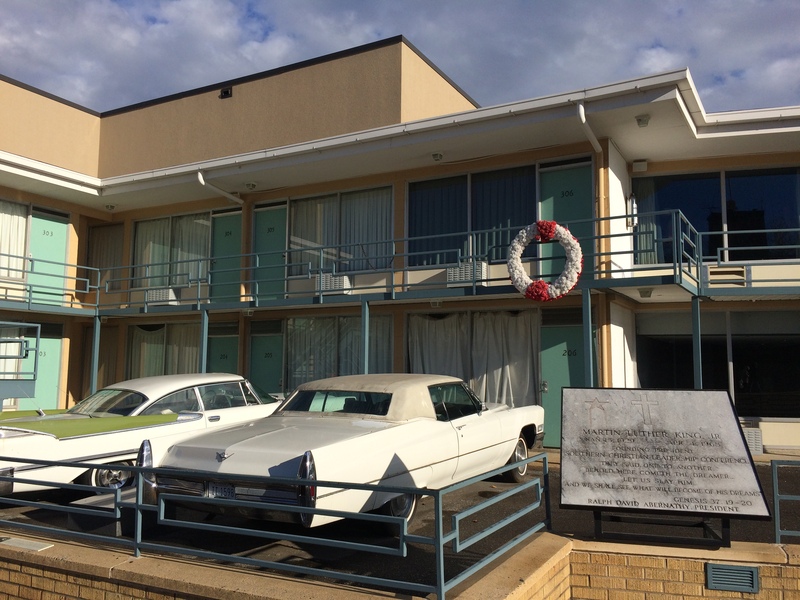 This entry was posted in Tennessee and tagged beale street, graceland, national civil rights museum. Bookmark the permalink.